All original "matching numbers" car. Outstanding and impecable new paint by master painter in original colour of rare Blue Petroleum Metallic. 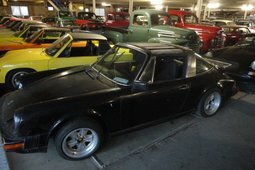 Formerly a US car, underwent 3L engine-out and injection system total overhaul in the US by specialist at a cost of $13000 with receipts at 62000 miles. Only 300 miles since then. Original white leather in excellent condition. Power windows and mirror and rear windshield wiper. Electrical system fully inspected and updated with new cut-off switch. 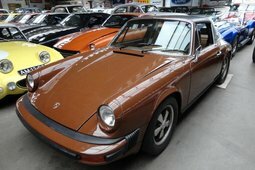 Original Targa top newly refurbished by specialist in Belgium. Original Fuchs polished wheels. Front trunk stabiliser bars newly added.Very attractive colour and interior combination, attracts attention everywhere. It starts at once from cold and runs beautifully, a pleasure to drive. Just passed Department of Motor Vehicle Inspection and was awarded historic plates. Sale due to relocation to a different continent. All original "matching numbers" car. Outstanding and impecable new paint by master painter in original colour of rare Blue Petroleum Metallic. Formerly a US car, underwent 3L engine-out and injection system total overhaul in the US by specialist at a cost of $13000 with receipts at 62000 miles. Only 300 miles since then. Original white leather in excellent condition. Power windows and mirror and rear windshield wiper. Electrical system fully inspected and updated with new cut-off switch. 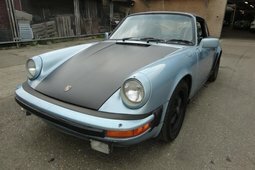 Original Targa top newly refurbished by specialist in Belgium. Original Fuchs polished wheels. Front trunk stabiliser bars newly added.Very attractive colour and interior combination, attracts attention everywhere. It starts at once from cold and runs beautifully, a pleasure to drive. Just passed DMVehicle Inspection and was awarded historic plates. Sale due to relocation.